Place thinly sliced beef strips in a slow cooker and pour beef broth and soy sauce over meat. Cover and cook until beef is tender. Cook time is usually 6-8 hours on low or for 3-4 hours on high. 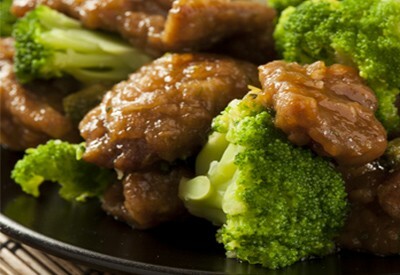 Add broccoli to slow cooker after beef is tender and cook for 30 minutes until broccoli is tender. Drain excess fat if necessary before adding broccoli.